Here Come the Pharma Wikipedians! Should pharmaceutical companies appoint employees as Wikipedia "spokespeople" to perform all edits to Wikipedia articles on behalf of the company? That is the opinion of Bertalan Meskó, MD, founder and managing director of Webicina.com, who invited pharmaceutical companies to "employ a Wikipedia editor if you want to make sure only evidence-based information is included in entries about your own products" (find his letter here). Recall that PhRMA -- in comments submitted to the FDA (see "Accountability for Pharma Content on Social Media Sites") -- suggested that manufacturers would welcome correcting misinformation about their products posted to sites like Wikipedia if these corrections were not subject to FDA regulation. "FDA," said PhRMA, "should confirm formally that, while it is not possible for manufacturers to monitor or correct all inaccurate information about their products on the Internet, such corrections by manufacturers in response to inaccurate postings will not be considered promotional labeling. FDA's adoption of such a policy would thereby allow manufacturers to correct inaccurate information about their medicines on the Internet or social media (e.g., Wikipedia, Sidewiki, blogs, or other websites) if they should become aware of such information." Pharma does not have a stellar record when it comes to editing Wikipedia articles. See, for example, "Simply Irresistible: Abbott Tampering with Wikipedia Entries" and "Web 2.0 Pharma Marketing Tricks for Dummies." So it's no surprise that this raises a number of interesting issues that were hotly debated during a recent #hcsmeu Twitter chat. That discussion will be continued in a Pharma Marketing Talk podcast on Tuesday, July 17, 2012. You are invited to listen or call in with your opinions. For more information, go here. Pharma should NOT correct Wikipedia "misinformation" under any circumstances. Pharma should appoint employees or hire outside "Wikipedians" (ie, trained specialists) to edit "misinformation" on Wikipedia. 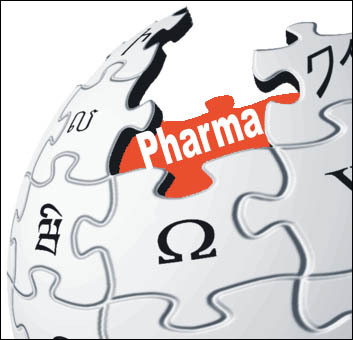 When pharmaceutical company employees or agents correct "misinformation" on Wikipedia, they must reveal their ties to the company. When pharma corrects Wikipedia "misinformation" about Rx products, FDA should NOT consider this promotional labeling subject to regulation. If pharma edits Rx information on Wikipedia and this information is later re-edited by others, pharma should not be held responsible for any resulting misinformation. I see that you are the CEO behind this venture. We should talk -- see my LinkedIn invitation to connect. 3) Agree. They should reveal that they act on behalf of a pharma company. 5) Agree. Each editor should be liable for her own editing. Did you fill out the survey? Let me know if you had a problem. Also, I may in Barcelona in September -- hope to see you there!